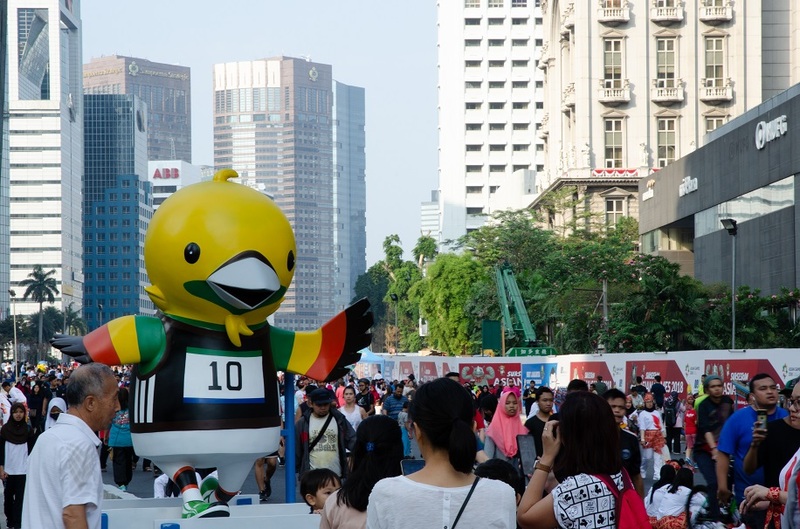 The last time the Asian Games were hosted here in Jakarta, exactly 56 years ago, it left an indelible mark on the cityscape. 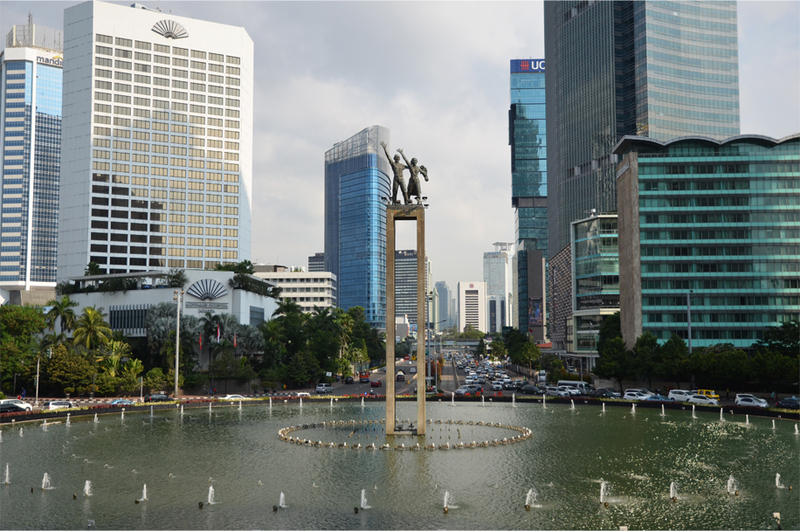 A slew of landmarks and infrastructure developments owe their creation to the event: these include the iconic Welcome Monument (as shown in the photo above) and the Hotel Indonesia next door, which was the first modern five-star hotel in the nascent country and the official lodgings for dignitaries and sports leaders back in 1962. 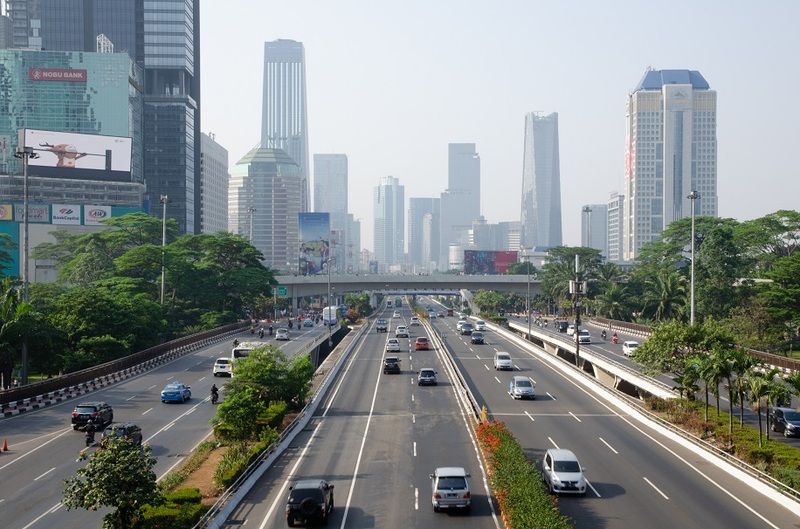 The roads running north and south from the Welcome Monument were widened to become present-day Jalan Thamrin and Jalan Sudirman; then-president Sukarno also inaugurated the cloverleaf Semanggi Interchange where Sudirman met the brand-new arterial road of Jalan Gatot Subroto. Driving around downtown Jakarta all these years later seems unthinkable without the presence of these major junctions and thoroughfares. Broadcasting the 1962 Asian Games to the world necessitated the creation of TVRI – Indonesia’s first television station – whereas the lack of a suitable venue called for the construction of an ambitious sports complex with the 110,000-seater Gelora Bung Karno Stadium at its heart. In the end, a total of 1,460 athletes from 17 countries congregated on the Indonesian capital for two weeks of competition. Today that figure has grown seven times to roughly 11,300, representing 45 nations and territories, and the Asian Games is now the second-largest multisport event in the world (superseded only by the Olympics). Recently remodeled Gelora Bung Karno Stadium has reprised its role as a main venue, hosting not just the athletics events but also the opening and closing ceremonies. Bama and I happened to be out of town during the much-awaited opening ceremony last weekend, but we did watch the entire show thanks to the HD TV in our hotel room. From start to finish it was a rousing spectacle that Indonesians can be exceptionally proud of. Taking a leaf from the action-packed arrival of Queen Elizabeth II at the 2012 London Olympics, President Joko Widodo’s entrance played up his down-to-earth personality, with several motorcycle stunts to weave through Jakarta’s notorious traffic jams and reach the stadium on time. As opening ceremonies go, this was as much a showcase of Indonesia’s artistic talent as its mind-boggling cultural diversity. And in an increasingly polarized political climate, the show is also a testament to what can be achieved when people are willing to look beyond race and religion to work together toward a common purpose. The 2.5-hour extravaganza was meticulously put together by a dream team under the direction of the immensely talented Wishnutama Kusubandio, who founded one of Indonesia’s most creative TV stations in 2013. At the center of it all was an enormous set weighing 600 tons planted with real trees and shrubs; a functioning waterfall and a 26-meter-high miniature volcano pointed to the tropical beauty of Indonesia and its position on the Pacific Ring of Fire. Against this backdrop, hundreds of performers took on a dizzying number of traditional dances drawn from all across the archipelago, choreographed to regional folk songs sung by a lineup of prominent local artists. I’m not surprised – even in some Asian countries/territories (like Hong Kong for instance) the coverage of the opening ceremony has been quite limited. Great to have you post about the Asian Games ~ I remember last year knowing they would be held in Jakarta, and figured it would be pretty special. Great video and happy to hear how it is bringing joy to Jakarta. Cheers to the week ahead. Thanks Randall. It’s truly an exciting time to be here – the celebrations at the stadium went far above and beyond all expectations. After watching that, a number of my friends and coworkers are hoping to get tickets for the closing ceremony next Sunday. Wow! What a spectacular opening ceremony! Thanks for sharing the videos and some of the history of the games in Jakarta. You’re welcome, Kelly! I can only imagine what it was like to witness it firsthand – the atmosphere must have been electric! It never ceases to amaze me how large sporting events can create so much national (and city) pride and unity. What an amazing opening ceremony. Thank you for including the spectacular videos. I’m sad to say that I didn’t hear about the Asian Games here in Canada. I’ve been lucky to live in two cities that have hosted the Olympics (Vancouver and Montreal). I was pretty young in Montreal, but the Winter Games in Vancouver are something I’ll never forget (felt so much pride in my country). Caroline, thank you so much for taking the time to watch those clips. The sheer artistry of the ceremony was a real confidence-booster for Indonesia and I too felt an immense pride in my adopted home. Vancouver must have been so joyous and full of fervor during the 2010 Winter Oympics. A friend who was there at the time recounted how you could hear the entire city erupt in cheers when Canada scored the winning goal against the US in the men’s and women’s ice hockey finals. Those hockey finals were electric. I remember all my neighbours spilling out of their houses and we celebrated on the street (people I hardly knew embracing and chatting like old friends). How I miss Indo!! However all my work these days are in India… so proud of the show put on for the Asian Games – thanks for sharing. You’re welcome, Carissa. 🙂 My jaw practically dropped to the floor when I saw that on TV – and there was a noticeable pang of regret that I hadn’t booked a seat in the stadium! Not sure how the “macet” was on opening night but I can assure you that it is generally as terrible as ever and might even have gotten worse with the expansion of the odd-even license plate traffic policy just before the Games. Hahah! I’m not surprised about the traffic. 🙂 And truly amazing vision to create something like that – was so proud and moved by it. Sydney 2000 was the first time I became very interested in the opening ceremonies of major multi-sport events. I love how through such hours-long show people from around the world can get a glimpse of the host city and country’s cultural offerings. Then came Athens 2004 which is by far still my favorite; it was so well-thought out and beautifully put together with the emphasis on Greece’s glorious past and its place in the modern world. Beijing 2008 is of course the grandest of all, and London 2012 was surprisingly very captivating and entertaining. Rio 2016 was heartwarming for they embraced Brazil’s history in an honest way and displayed a favela in the stadium. I have always dreamed of Jakarta (or any other city in Indonesia) hosting the Olympics, in part because of the precious opportunity the city will get to showcase the many faces of Indonesia the world rarely sees. So watching the 18th Asian Games opening ceremony — started with that colossal ratoh jaroe dance, culminating in the lighting of the cauldron which was placed on top of a volcano, and other exciting scenes in between — was like a dream come true for me. I wish I will see the Summer Olympics opening ceremony held here in Indonesia one day! 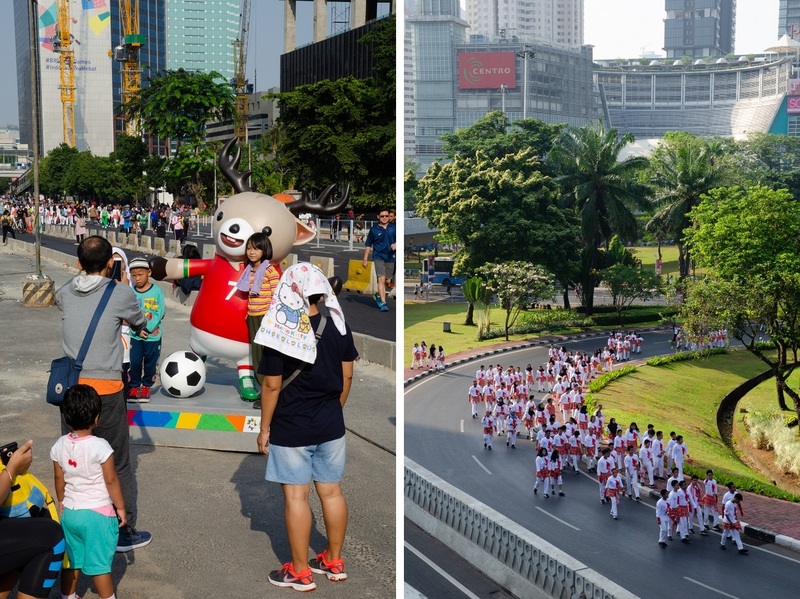 Fingers crossed the Summer Olympics will be held in Jakarta within our lifetimes – there’s so much the city needs to do first (not just making drastic improvements in public transit) before it can be considered as a real candidate for the Games. But yes, I would so love to see the entire world tune into an opening ceremony that celebrates Indonesia’s heritage and incredible diversity much like what we saw last weekend! I watched the video of the ratoh jaroe! Just amazing! Great post James. I knew of the Asian Games but had no idea they were so big. Thanks Alison. To see that dance in person would have been something else! I’m looking forward to what the organizers have in store for us in the closing ceremony this Sunday. That is pretty amazing to think that last time the games were there they had to create a TV station. Indonesia sure has changed. Indonesia has so much potential. Good to see events like this in Jakarta. Indonesia was just 17 years old at the time and the Dutch hadn’t really put much effort into developing the islands during the colonial era, so I guess there was a lot of catching up to do. The new MRT line being built now was supposed to be ready before the Games, but it looks like things won’t be finished until early next year! I forget how young Indonesia is. At least the Brits left behind good rail lines and beer. I don’t think the Dutch did much for anyone. I think every public transport line in the world is behind schedule and overbudget. I’m a pop-in-and-out watcher of these grand opening spectacles, but I totally understand the national fervor and pride that go along with them. Like the Canadians here, I have to admit I was not very aware of these games, but it’s amazing to read of Indonesia’s flowering during the times between the two events. As a very easily distracted person, I often pop in and out of watching them myself, but this one was absolutely riveting! It practically demanded my full attention – Bama and I planned the entire evening around it and I’m so glad we had an HD TV in that hotel room. That video is truly spectacular! The closeups of the individual movements and then the whole picture of what they produced were just awesome. I’m sure everyone who participated and those who watched were so proud! Yes, even as a non-Indonesian viewer it made me proud of my adopted home! That ceremony was worthy of the Olympics, and such a confidence-booster for Indonesia, which sadly gets quite a lot of bad press from time to time (thanks to natural disasters and religion-based politics). What an impressive spectacle!!! Right from the president’s Bond style entrance to the ratoh jaroe dance and the musical performances. I used to be a keen follower of all regional sporting events. Not anymore though. Now regretting having missed this. Thanks for sharing James. You’re more than welcome, Madhu. 🙂 Watching it on TV, I almost regretted not booking a ticket at the stadium for the actual ceremony. But then again the spectators who were actually there weren’t able to catch many of the wonderful details that we saw on screen.